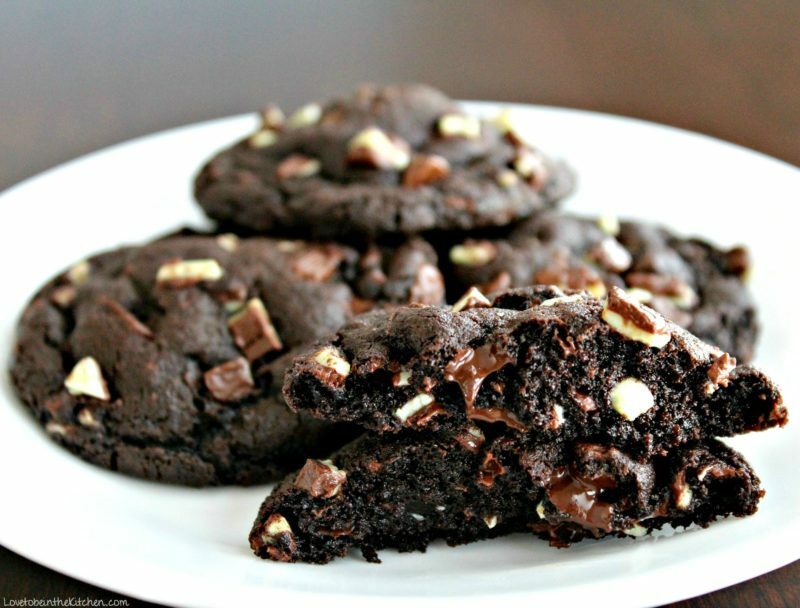 Andes Mint Chocolate Cookies- Soft and chewy chocolate cookies full of Andes Mints and melty chocolate chips. 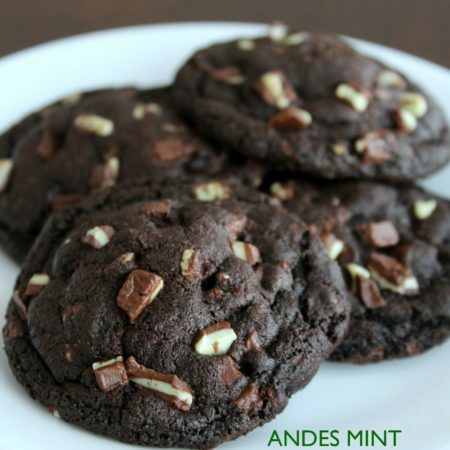 Andes Mints + chocolate cookies= the most amazing cookies! 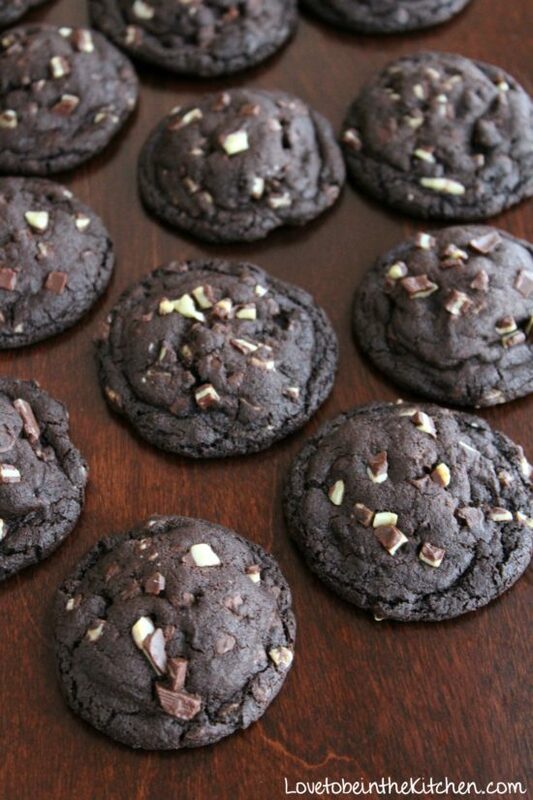 I’ve been in love with this chocolate cookie recipe for a few years now. I’ve added M&M’s and PB Cups and thought Andes Mints would be the perfect mix-in, especially with St. Patrick’s Day coming up and I sure was right! These cookies were AMAZING!! The Andes Mint adds the best flavor to these! I added some chocolate chips as well to up the melty chocolatey factor and it was perfect! And if you really love mint feel free to add mint chips instead! Look at that amazing mint and chocolatey goodness! I shared some of these with my friends and they loved it too! Preheat the oven to 350˚ F. Line 2 baking sheets with parchment paper or silicone baking mats. In the bowl of an electric mixer, combine the butter and sugars. Beat together on medium-high speed until light and fluffy, 2-3 minutes. Blend in the egg and vanilla, scrape down the bowl if needed. In a separate bowl, whisk together the flour, cocoa powder, baking soda, and salt. Slowly add the dry ingredients into the wet ingredients in the mixer on low speed just until incorporated. Mix in the milk on the lowest speed and fold in the Andes Mints and chocolate chips. Roll about 2 tablespoons of dough into balls and place on the baking sheets. Top each cookie with a little more Andes Mints. Bake 10-11 minutes. Let cool on the baking sheets for about 5 minutes, then transfer to a wire rack to cool completely. I didn't need to chill the dough for this recipe but if you find your cookies are spreading then chill the dough either by placing the cookie sheet in the freezer with the dough balls for 10-15 minutes or you can chill the dough for about 1 hour in the refrigerator. These cookies look AMAZING! 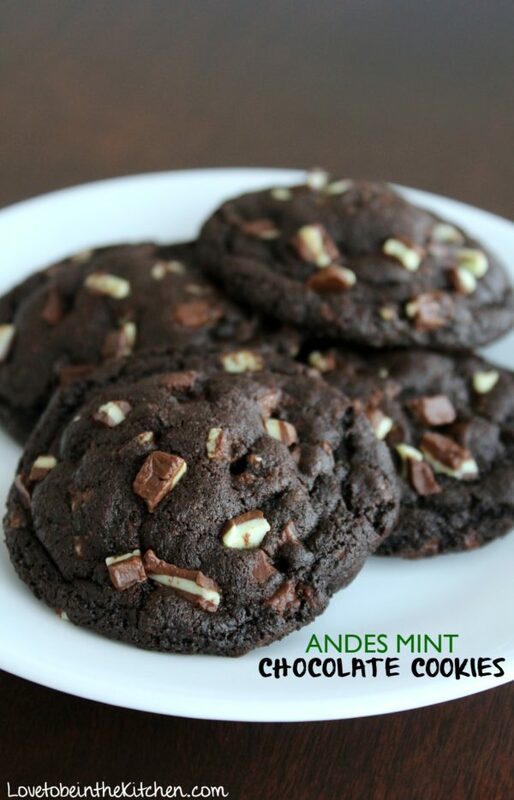 I love Andes Mints and I can’t wait to try this recipe! !